From the foothills of Georgia, The Edgar Loudermilk Band featuring guitarist Jeff Autry will be returning to Ventura for a show at the IBEW (International Brotherhood of Electrical Workers) local union at 3994 E. Main Street on Saturday, January 14. Loudermilk has been out on the road touring coast to coast; you may remember him as the former bass player for IIIrd Time Out. Tickets are available the day of the show for $18; doors open at 7 with Ventura’s Bluegrass Bottom Feeders opening. Jon Gindick’s harmonica camp returns to Ventura at the Pierpont Inn January 31 through February 4. The camp features world-class harmonica players who work one on one with new and returning students who come from all over the world to participate. Keep your ears open for harmonica jams at local venues during that week including The Wine Rack on Monday, January 30. Karen Eden returns to Amigos starting the first week of the new year at 6 pm for Margarita Mondays. Speaking of Amigos, owner Mike Toler will be trying out Country music for a change of pace on Thursday nights with Pull the Trigger on the 5th of January, then it’s 5th & Birmingham on the 12th and CRV on the 19th. The Ventucky String Band returns on the first Thursday of the month at Saloon BBQ Co. Other bands to look for include Anchor & Bear on the 6th of January and Bad Leaf on the 7th. 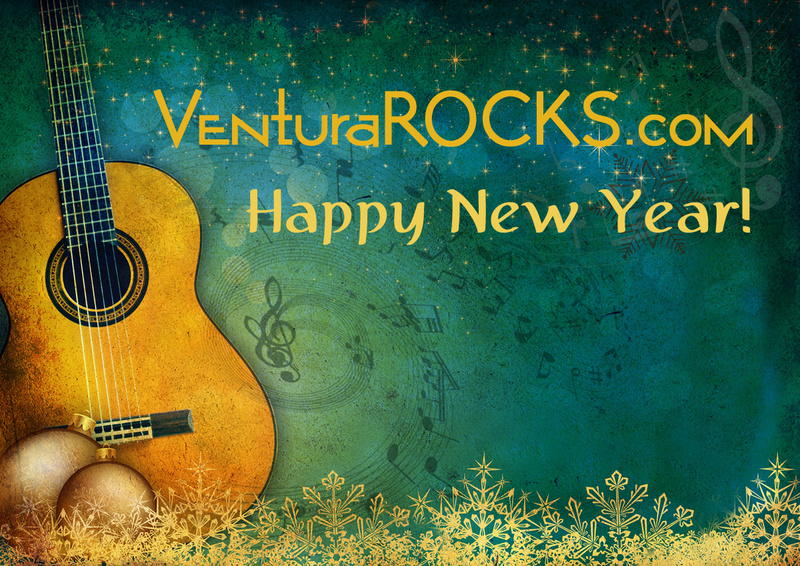 There are two shows for the first two weeks of the New Year at the Majestic Ventura Theater. The first one falls on Saturday, January 7th featuring several local musicians in a couple of tribute bands, namely, “One More From the Road” paying homage to Lynyrd Skynyd and then “Bad Reputation” a tribute to Thin Lizzy. The following week the theater hosts the pop punk band, MXPX with Five Iron Frenzy and Dogwood opening. Discovery is hitting the ground running for 2017 with Masters of Puppets (Metallica tribute) on the 6th, Cash’d Out on the 7th, Pato Banton on the 12th, The Blasters on the 13th (with Raging Arb and the Redheads, Jackass opening) and Ozomotli on the 14th. Oh! Earlier on the 14th, Discovery will also offer a special family-friendly show with Ozomatli which is geared towards performing for children as well as adults aptly named OzoKidz. The earlier show starts at 2 pm and ends by 4. Get ticket information at www.discoveryventura.com. And finally, there will be special memorial punk show to celebrate the life of Scott Ross (The NaVaNaX) on Sunday, January 15 from 1-6 pm at the Ventura Beach Club with The Rouse, F.S.K.D. Birdbrain and The Kane Gang.